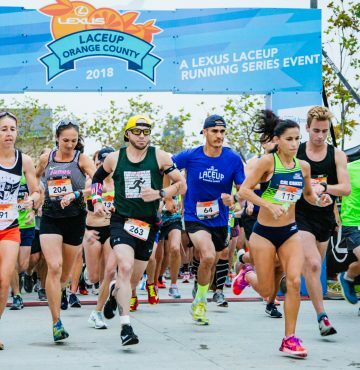 The Lexus LaceUp Running Series once again kicks off the season in beautiful Orange County, CA. 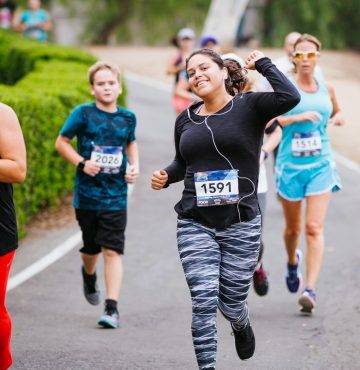 The Half Marathon, Marathon Relay, 5K, and Kids Run will take place at Irvine’s Mike Ward Community Park on a fast and flat running path that winds through the vast open space under massive, shaded trees. 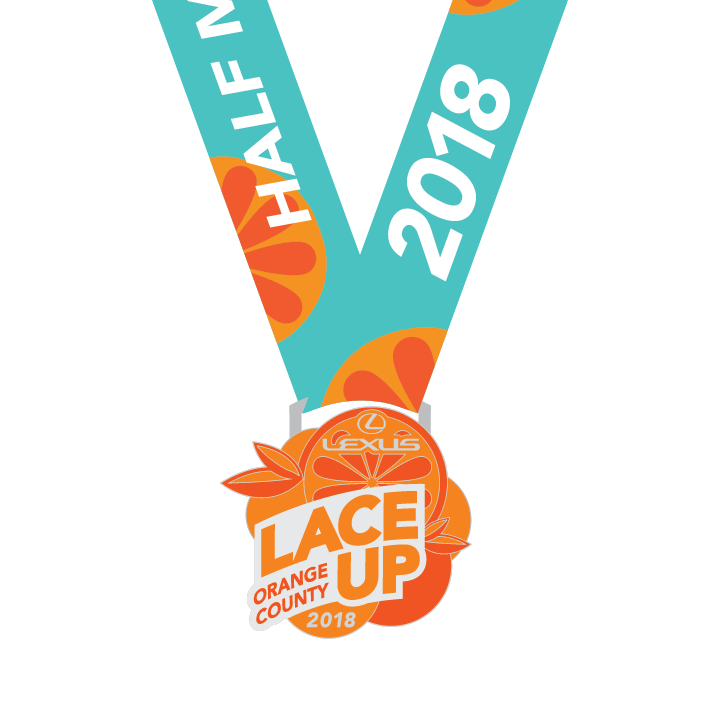 LaceUp is thrilled to announce the return of the half marathon course at the Orange County race. 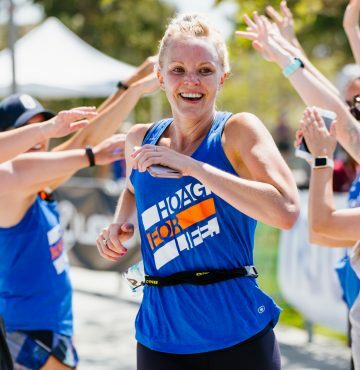 Back for 2019, teams will have access to the ultimate runner VIP experience as they race to complete 26.2 miles. Don’t be surprised when you see the LA Clippers spirit squad cheering for you on the course and at the finish! After setting a new personal record, kick back and relax with a complimentary craft beer and food truck brunch in a lively event hub. This race is great for the family too, with a Kids Run and children’s activities on the schedule. 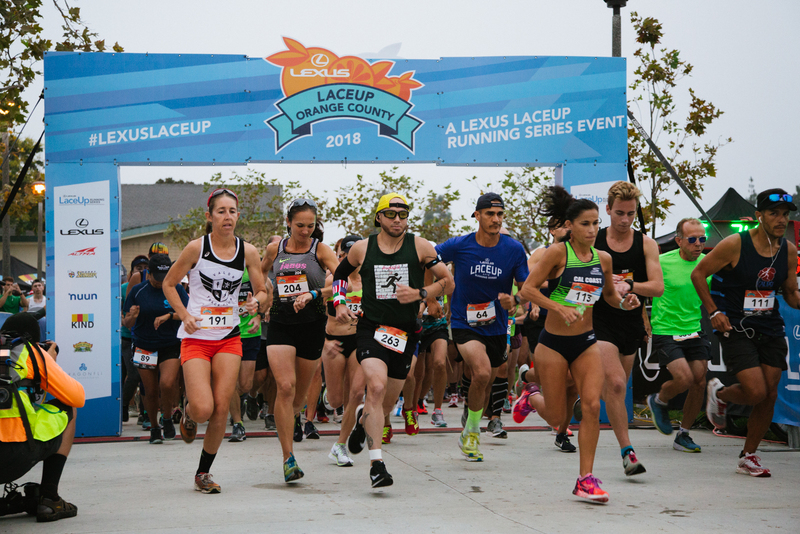 LaceUp Orange County is a community-oriented race with a big-race feel. You and your team will feel right at home. 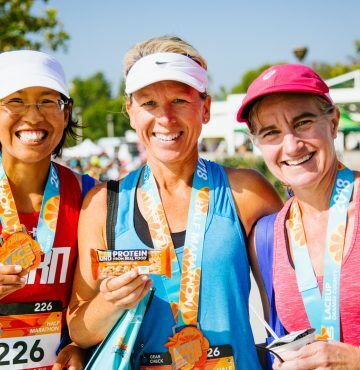 LaceUp is thrilled to announce the return of the Orange County Half Marathon! The Half Marathon is a fast, flat 13.1 miles. With just 220 feet of elevation gain, this course is ready for a PR. Tour some of Irvine’s biggest neighborhoods, starting in Woodbridge and heading to Huntley and Walnut. Run past Irvine Valley College and through Orangetree before finishing back in Woodbridge. The Half Marathon course is a loop, starting and finishing at Mike Ward Community Park, a neighborhood park in the heart of Irvine. Don’t be surprised when you see the LA Clippers spirit squad cheering for you on the course and at the finish! The course runs on a mix of running paths and roads. Aid stations stocked with Nuun Electrolytes and Honey Stinger product. When: Saturday, Sept. 7, 2019—6:30 a.m. 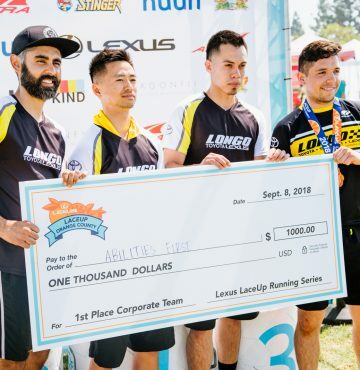 The Marathon Relay is a part of the Lexus LaceUp Running Series Orange County kick-off celebration. The relay offers teams of 2-5 people to run a marathon distance of 26.2 miles. 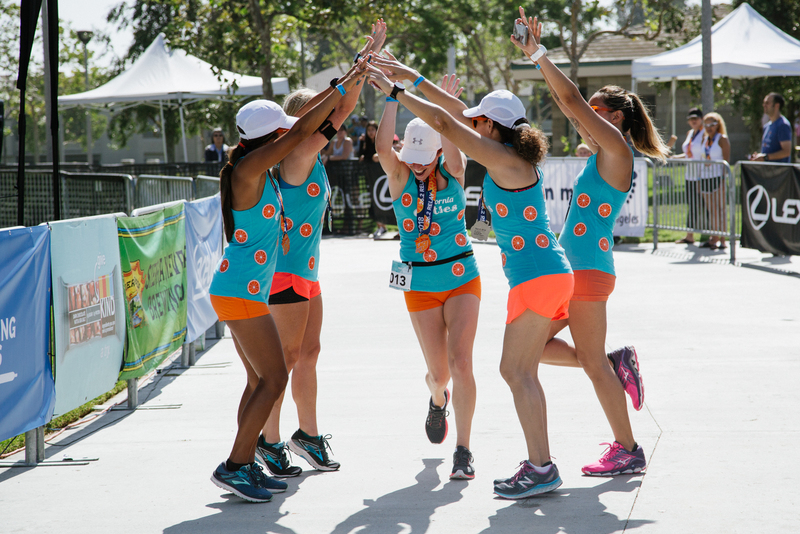 Grab your best running friends and register for the Marathon Relay today! When: September 7, 2019—6:45 a.m. The Marathon Relay will begin and finish at the Mike Ward Community Park in Irvine, CA. The fast and flat running path winds through the vast open space under massive trees and sunny views. Each team member runs or walks a 5.24-mile course, starting and finishing at the Health and Fitness Expo. Every team member runs the same course. Teams can have 2-5 people. Mixed teams need to have at least two runners of each gender. There will be a designated team area for teams to set up tents, chairs, blankets, etc. Teams will NOT be allowed to bring vehicles into this area. Team area cannot be set up until Saturday morning. Teams are able to bring their own food, snacks, etc. No alcohol allowed in the team area. 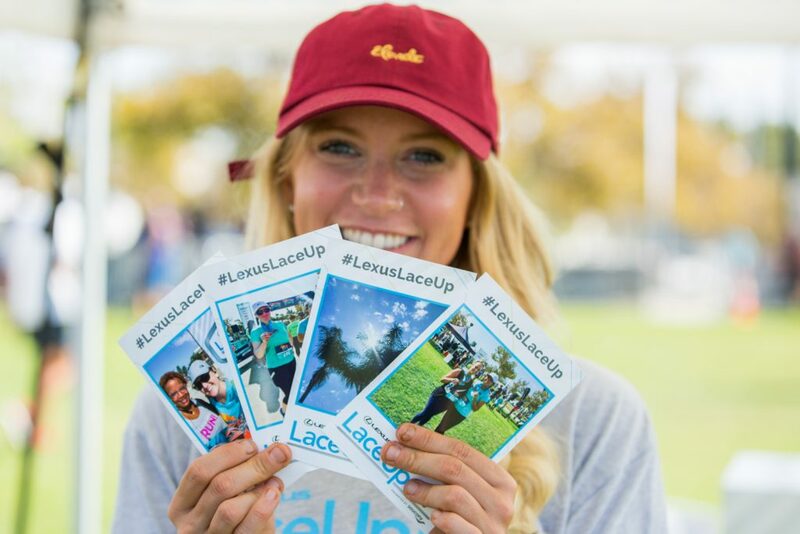 Runners will qualify for the LaceUp Challenge. *Donations to be made to corporate team’s non-profits of choice. Non-profits cannot be religiously or politically affiliated and race officials reserve the right to approve the non-profit. The team captain will register themselves for the Marathon Relay and be sure to set up the group/team on the first page of registration. The team captain will pay the registration fee for the relay and is responsible for collecting payment from team members outside of our registration system. Once the captain is registered and the team is set up the Captain can let their friends know the team is set up and that they can join the team. For the remaining members, they will register for the Marathon Relay and will need to join the group/team that the Captain set up when registering. Each team allows for 5 team members and once 5 members have registered the team will be set and will not allow anyone else to join that team. 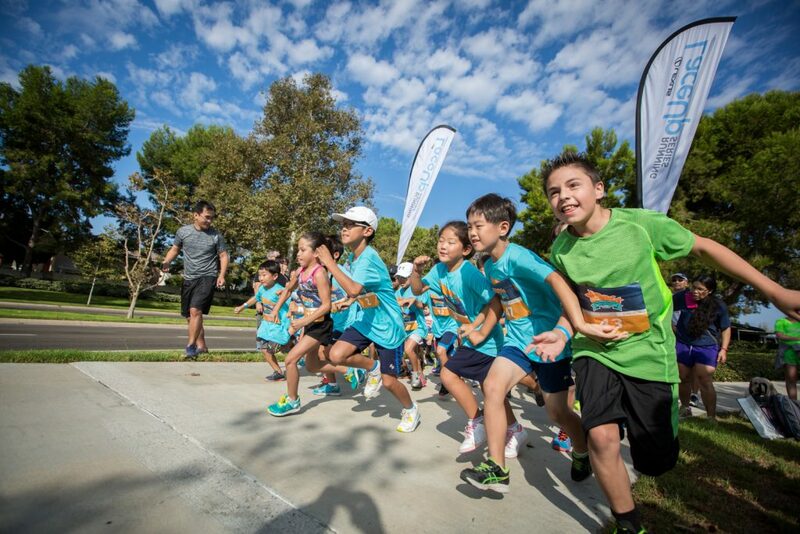 The Orange County 5K starts and finishes at Mike Ward Community Park, a neighborhood park in the heart of Irvine. Runners will leave the expo area and run on the San Diego Creek Trail, the backbone of Orange County’s trail system. This fast and flat course runs southeast, where runners can post a new personal record. Don’t be surprised when you see the LA Clippers spirit squad cheering for you on the course and at the finish! This out and back course has one aid station that each runner will pass twice. Aid stations stocked with Nuun Electrolytes and Honey Stinger product. Don’t delay, the 5K sold out in 2018! When: Saturday, Sept. 7, 2019—7:00 a.m. Note: 5K course time limit is 1 hour. This is a 19:20 pace, great for walkers and runners! 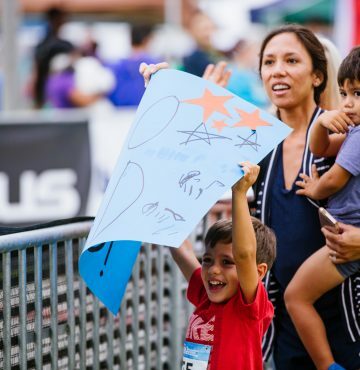 If you’re excited about running, your kids will be, too! Help them learn about the joys of running by entering them into the Kids Run. Registration is just $20 per child and includes a race bib, finisher’s medal and event t-shirt. 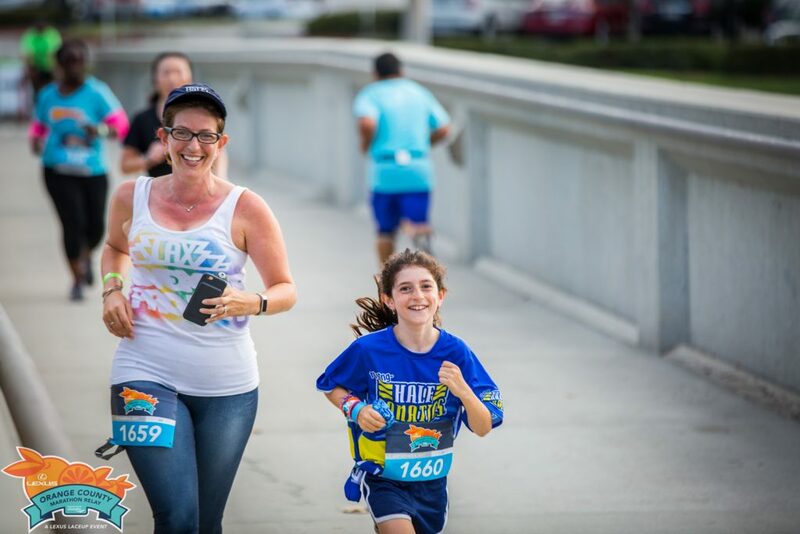 Parents are welcome to run alongside their kids or cheer for them at the start/finish line. Runners will leave the expo area and run in a loop around the park. Kids will run approximately 1K before returning to cheering families and friends! Don’t forget to check out the Kids Zone in the Health & Fitness Expo Area for games, tattoos (one thousand glitter tattoos! ), coloring, hula hoops, and much more! When: September 7, 2019—9:00 a.m.
Back in 2018! All Kids Run participants are eligible for the LaceUp Challenge Medal! Run all three LaceUp Kids Run (Orange County, Ventura, Riverside) to earn this medal. Run Kids Run: LaceUp’s Kids Runs are held in partnership with Run Kids Run. 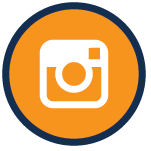 Run Kids Run organizes non-competitive active events for young people as part of larger scale events like marathons, triathlons, and bike races. Due to growing runner numbers, you MUST pick up your packet on Friday September 6. If you are unable to pick up your packet at this time, you must purchase “Race Morning Packet Pickup” for additional $5 (available when registering online). You MUST pick up your packet on Friday September 6. However, there will be race day packet pick-up available for an additional $5 at the start line starting at 5:30 a.m.
I’m running the Marathon Relay. Does the entire team need to go to packet pick-up? Marathon Relay packets will be grouped by one team. One person will come to pickup the packets for the entire team. 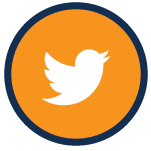 Thanks to our Facebook fans for voting on the 2018 Orange County medal! The Health & Fitness Expo offers a wide array of demos from local and national providers for runners and their friends. 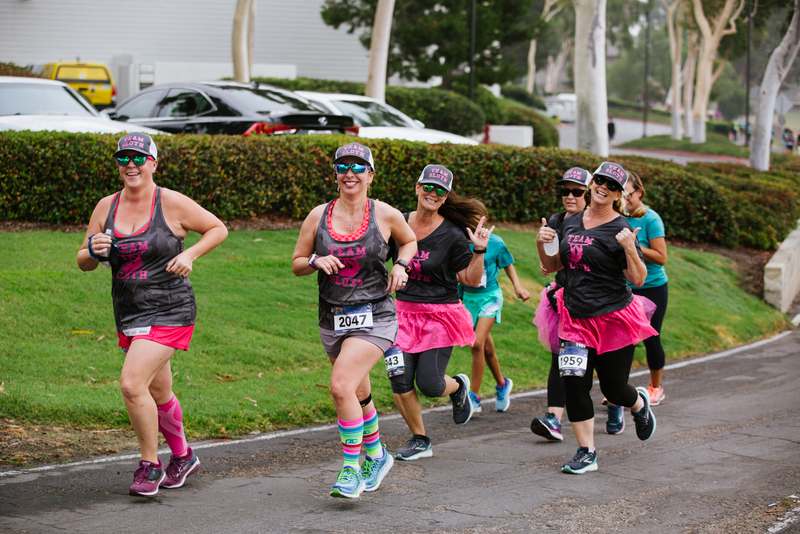 Join us for a 2019 race! Contact Aften Lee at bhall@dragonflimedia.com to display your business, product or service. SCS Photoworks will be out on the course snapping shots of LaceUp runners. Be sure to smile and then look for an email directing you to FREE photos for social media and web. High-resolution photos will also be available for purchase. 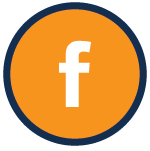 LaceUp Orange County offers real-time results. Stop by the Lexus results booth to get your times and see if you’ve won your age group. Age group awards will be given out at the LaceUp podium.